As temperatures are dropping, many of us are looking for ways to make sure our homes are as energy efficient as possible. Here are several free or inexpensive tips to make sure you are saving as much as possible on those utility bills throughout the colder months. Open up curtains on the south side of your home during the day to let that sunshine in! The sunlight will help keep your home warm naturally, just make sure you close them up in the evening. By closing them once the sun sets, you can prevent some of the chill from cold windows. Another way to save energy and money is to adjust your thermostat. You can save up to 10% a year on your heating and cooling bills by lowering your thermostat by 10-15 degrees while you are away from home or asleep. 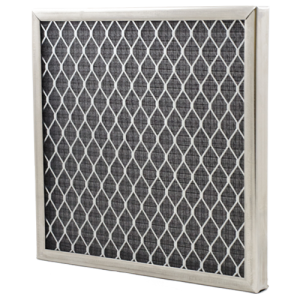 By changing your furnaces filter each month and having it serviced regularly, you can be sure that your home’s heating system is running efficiently. If you are looking for someone to check out your heating service, Advanced Heating and Cooling is one of our trusted preferred service providers. If you have a wood or pellet burning heating system, make sure the flue vent and the inside of your appliance is cleaned regularly. Make sure you are keeping the damper closed when there is not a fire burning. If you do not use your fireplace, make sure your chimney is plugged and sealed. By turning the water heater temperature down the the warm setting at 120 degrees Fahrenheit, you will be saving energy and also reducing the risk of scalding hot water. Do you have any energy saving tips of your own? We would love to hear them! Please share them below in the comments section.